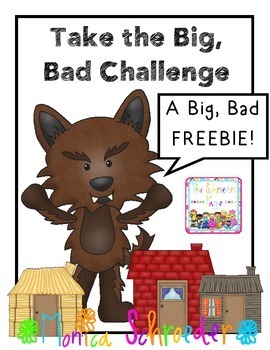 Friends~This 7 page freebie will be the most fun you have ever had in your classroom. After reading a few versions of The Three Little Pigs, challenge your kiddos to construct a house that will with stand The Big, Bad Blow Dryer! Directions for setting up the activity. See my kiddos in action during this challenge click below!